Fiddlers’ Sons and Keelin Wedge are set to take the stage at Trinity United Church in Summerside on Sunday February 17, at 2pm-4pm. This will be the award winning folk music group’s first time back to Summerside since appearing before a sold out crowd at The Harborfront Theater last summer. 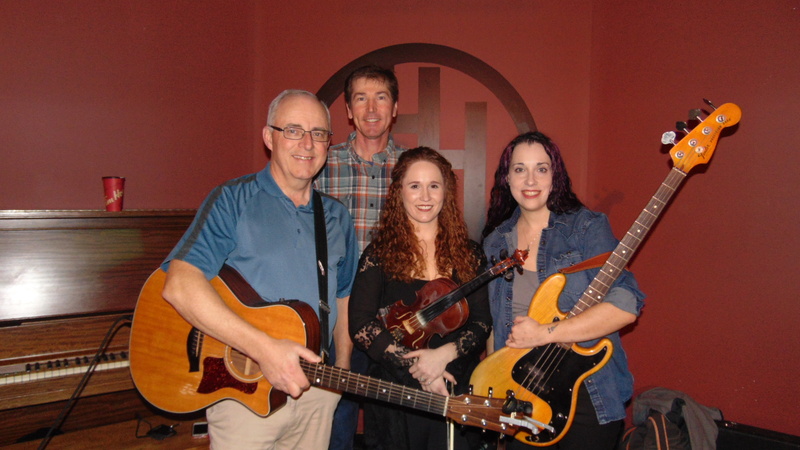 Fiddlers’ Sons features singer-songwriter Eddy Quinn on lead vocals, guitar and fiddle, multi-instrumentalist Keelin Wedge on vocals, guitar, fiddle and bass, singer-songwriter John B Webster on vocals and guitar, and musical veterinarian Courtney Hogan-Chandler on fiddle. The group will showcase tunes, stories and songs from their recently released album Fiddlers’ Sons The Best Of Twenty Years. There will be copies of the new CD along with Eddy Quinn’s book Island Characters available for sale. For more information or for advance tickets for these concerts, call Wendell at 902 436 8600 or drop by the church office at 90 Spring Street, Summerside or call 902 436 3155.